For faster support, please contact your sales representative who can connect you to the appropriate engineering resources. You may also email support@redwall.us. For press inquiries, interview requests for industry publications, or to request a press kit or media for a presentation or publication, please email our PR Department. To request more information about Redwall's products and services, or to arrange a demonstration or briefing, please email sales@redwall.us. Existing customers are encouraged to contact your sales representative or assigned TPOC. Redwall is not currently seeking investment however Redwall and our investors always enjoy hearing about new projects and opportunities. Please email sales@redwall.us, and include the word "investment" in the message. Redwall Technologies has staff and in Chicago IL; Dayton, IL; and Orlando, FL areas, with meeting facilities to accommodate your team visiting us in the Chicago and Dayton areas. Please email sales@redwall.us to arrange a visit. 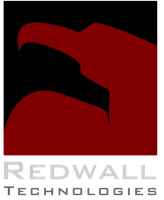 Redwall Mobile policies control access to networks, files, peripherals, services, apps, and any resource. Redwall Mobile does not require any changes to your apps or drivers.